In the space of just a few days we have gone from very mild air temperatures for the time of the year to below freezing at night. Fishing last week in the Barmouth area, it was very pleasant indeed, even as the sun set I was stretched out on the sand watching the rods. However, with temperatures plummeting I found myself back home and scraping ice from the car before I could drive it in the morning. Prior to removal though I took the opportunity to etch some Welsh on the windshield, take a photo and then use on The New Saints FC’s social media. It’s something different. The headline is a play on the Billy Ocean song, When The Going Gets Tough, The Tough Get Going. I’m basically saying, don’t let the weather dictate to you. 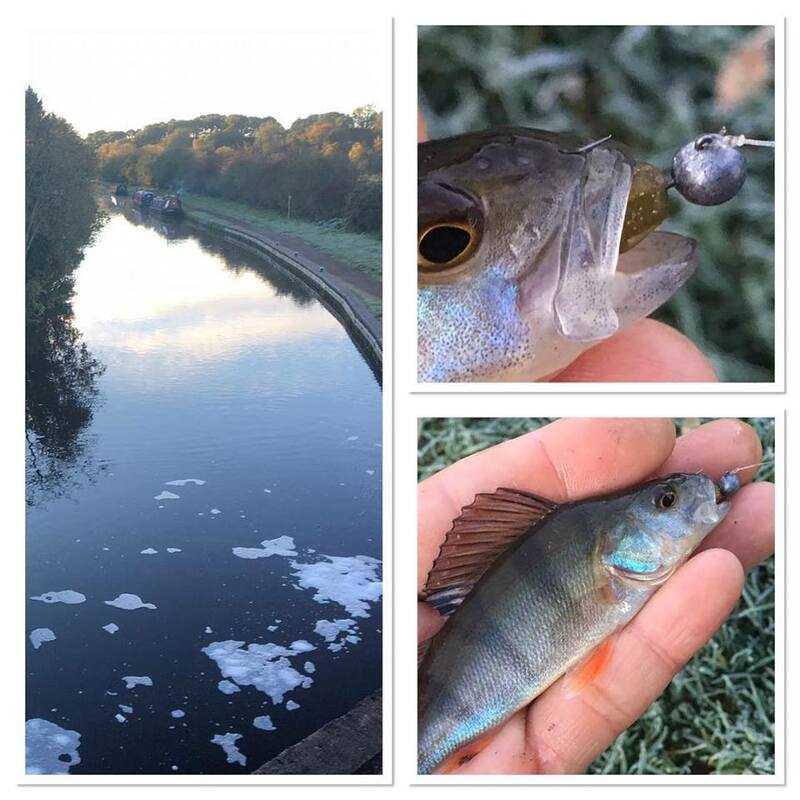 I’ve done three very short sessions in the last few days on the Staffs/Worcs Canal lure fishing and in spite of the very sharp drop in temperature, I’ve still had action. One of the reasons I chose a mini-jig approach is firstly because it’s a small lure and therefore open to perch of any size. In these conditions you have to widen the net as far as possible, so to speak. Secondly, you can work the lure through the water at a slow pace. A spinner can be too fast when the water is cold as the fish are not as active as they when it’s warmer. One day I’m casting a 5oz lead into the ocean and the next I’m working a 1g jig head through the canal. It’s all fishing, it’s all good. Tackle used: Fox Rage Ultron dropshotting rod. Fox Rage Ultron 2500 reel. Sunline Super Braid 10lb mainline. Fox Rage Illusion 10lb 3oz. 1 inch Berkley minnow. Fox Rage micro jig head 1g, size 6 hook.